Whether you want a place to entertain, space for children to play, somewhere to grow flowers and vegetables or just something beautiful to look at, we offer a complete garden design service. Attention to detail is very important in our work and we take pride in making all the small things right. Our interest and knowledge of how to use hard and soft landscaping materials has helped us to create and build designs which are unique, suiting the style of architecture and surrounding landscape. Whatever the size or scope of your project, be it a few ideas for a courtyard garden or a complete makeover of a country estate, we can help you get the most from your outdoor space, while meeting your requirements, timescale and budget. The main steps of the garden design process are summarised below. During the meeting we will discuss the likely uses and function of the garden, your likes and dislikes and the kind of feel you would like to create. You may have images of gardens or styles that you like so this would be a good opportunity to share these. We would also walk around the garden, providing an opportunity to assess the possibilities and limitations of the site, considering the views, levels, aspect, soil characteristics and access. This is also the time to discuss your budget. Following on from this initial meeting a written proposaI will be sent to you outlining the design fees for your project. 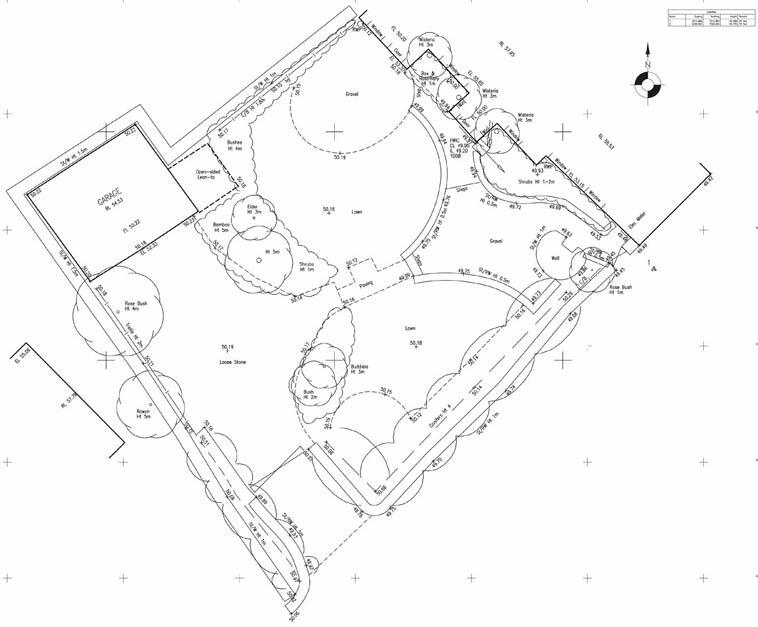 In order to produce an accurate scaled plan of your garden, a site survey will be required. We will advise you during the initial visit on whether any plans you have are sufficient, or whether we need to have a survey carried out. Depending on the size and complexity of the site we will either carry out the survey ourselves or recommend the services of a professional surveyor. 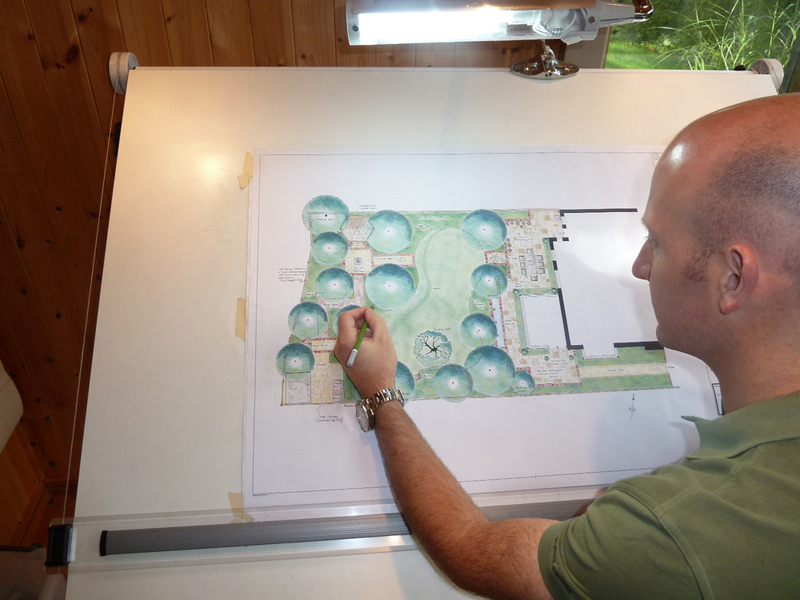 A hand drawn 2D plan of the design is produced, along with a mood board providing details on the style, colours and textures of the hard and soft landscaping materials. 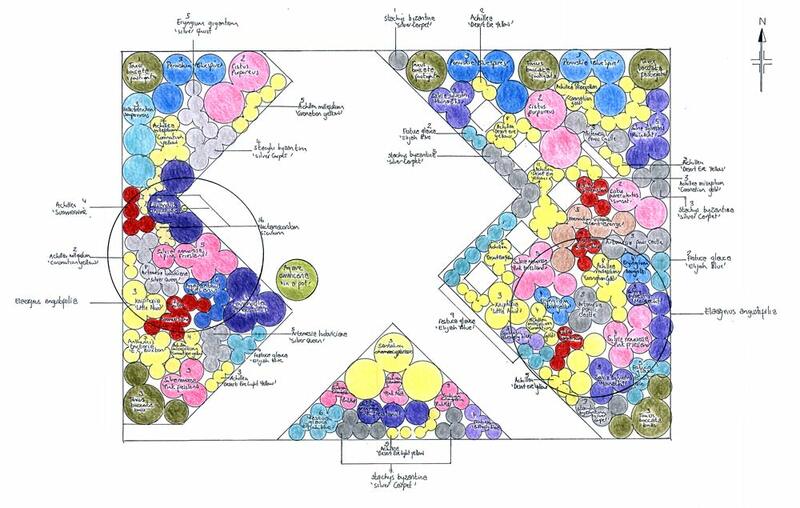 A detailed planting plan is created, based on an understanding of the environmental conditions (soil type, aspect and microclimate) and selecting plants that will complement the design and provide interest throughout the year. The planting plan will show the type, number and location of each plant. A planting schedule (list of all the plants, quantities and sizes required) is produced and sent out to specialist nurseries to quote for supplying the plants. When it comes to larger specimen trees and topiary, we visit the nurseries and choose the individual plants in person as the shape and habit of the trees have a great impact on the character of the garden. We can also organise your planting for you if you wish, and will provide a maintenance schedule for your garden which could include aftercare visits to ensure your planting investments are growing to plan. In order to ensure that the design is set out and built exactly to plan and to the desired quality, a written set of instructions to facilitate the construction of the garden, including the materials to be used and construction methods to be employed is produced. 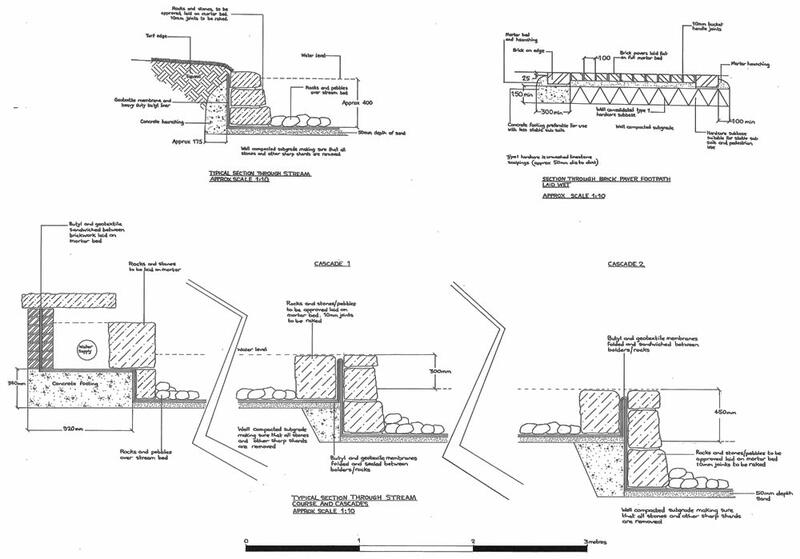 Construction drawings are produced for relevant hard landscaping features that have been included in the design. We can also produce lighting plans if required. We will prepare and manage the tender process on your behalf. This will include issuing the necessary documentation (drawings and scope of works) to potential landscape contractors, meeting and responding to their questions. Typically we would send this out to three reputable landscape companies. The documentation provided will allow the contractors to put together an accurate quote for the work on an equal basis. We can recommend trusted and professional landscapers, lighting and water feature specialists who will provide quotes for the construction of the garden. 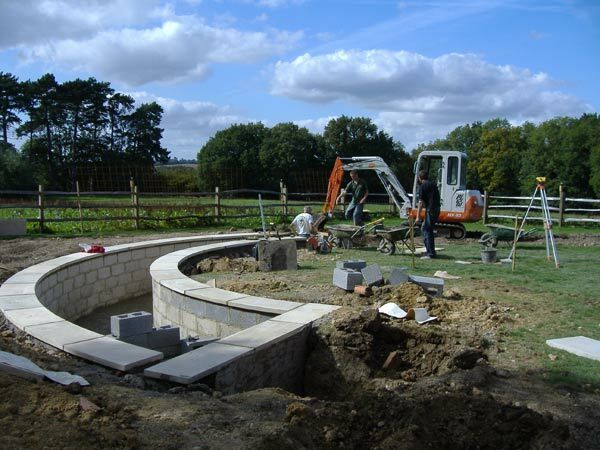 Once the build gets underway, we can make regular site visits on your behalf to ensure the landscapers and other professionals deliver your garden exactly as planned and that the timescale of the project is on track. Visiting the site also enables us to resolve any unforeseen problems that may arise during the build. Job progress is checked and after the visit, a report is sent to the client. Monitoring the project can be done either through weekly visits to the site or upon the client’s demand. Larger projects may require efficient co-ordination of craftsmen that may be contracted, while on smaller projects, all the hard landscaping and soft landscaping may be carried out by the same contractor. This is therefore particularly valuable for more complex projects or if clients are too busy to manage the process themselves. As every project is different, it isn’t possible or useful to provide an estimate over the phone. However a firm written quotation is supplied after the initial visit. This will either be a fixed fee or an hourly rate, and will include those parts of the design process that you have asked us to carry out. Additional services can be added on, if required and under a separate quotation. 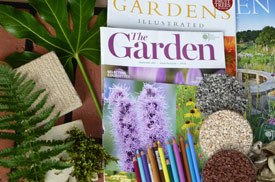 In general our fees are based on guidance from the Society of Garden Designers. Having created a lovely garden for you to enjoy, if required, we will maintain the garden to keep it at its best at all times on an on-going basis, or be happy to come along as and when you need us. We can also produce a seasonal maintenance plan for you to help maintain the garden throughout the year. We would be happy to discuss the cost of garden design for your particular garden, we aim to provide a competitive quote providing best value for money while maintaining quality and originality in our garden design for you.